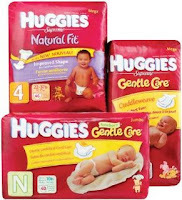 Today only (February 12th), you can get Huggies Diapers for only $1.64 a package!! First, head here and get your coupon for 15% off (this coupon is good only 2/12, which is why this deal will work just for today). Then, here’s how you’ll work your deal. So, now you have it both ways — but I hope that the first one is the one that works for you! Share with me what your experience is tomorrow if you try to work this deal!